The history of Moscot, widely known as the eyewear of choice for Andy Warhol, Truman Capote, and Johnny Depp, begins in 1915 in Manhattan’s Lower East Side in New York City. Moscot found its footing through reproductions of eyewear models that were discontinued during the American Great Depression and has continued its legacy for over 100 years. 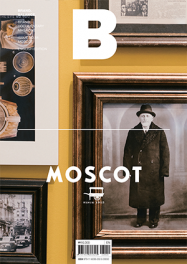 Beloved across generations as the emblem of vintage eyewear, Moscot is just as much an American classic as white T-shirts, jeans, and wing tip shoes.